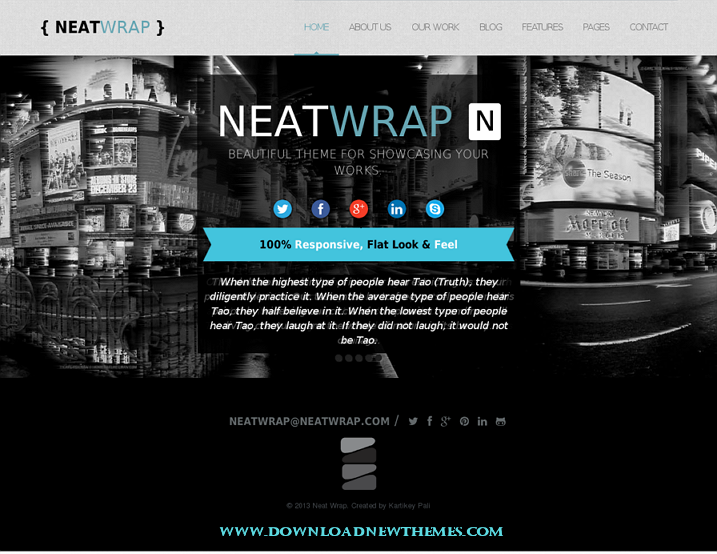 NeatWrap Responsive Theme is a clean and elegant theme suitable for displaying your product, app, business or service. Created using latest HTML5 and CSS3 features. With full responsive design works great in any device. Item Reviewed: NeatWrap - Responsive Multi Page Theme 9 out of 10 based on 10 ratings. 9 user reviews.